Music and people have always had a good relationship. Much like food, music makes it possible to bring people together despite language barriers or any other type of social barrier there is that keep people from feeling like they are connected or that they are one and the same. With this said, it makes sense that throughout the decades that have passed, more and more music festivals and events are being founded in different places around the globe to promote this feeling of unity. A great example of such is the Coachella music festival held in the US every year that people from all over the world go to for the company and great music. If it isn’t within your budget to reach that particular festival, worry not because there is also a music festival in Japan that has grown in quality and in popularity throughout the years and that is none other than the Summer Sonic Festival. This particular music festival started in Japan in the year 2000. It is nearing the completion of its second decade but its focus and purpose have never changed throughout the years. This purpose is to promote and highlight the talent of their major national artists as well as to appreciate the skills and creativity of international artists and acts. Different people certainly have different preference in music and from the beginning of the Summer Sonic festival, it has been able to provide its goers with the genres that they want and need for such an event. They were able to do this by hosting the festival in two venues, specifically in Chiba and Osaka, to accommodate all the artists that they could get to perform in the event. They made two line-ups with one line-up designated to play specifically in Chiba for the first day of the festival and then play in the Osaka on the second day of the festival. The same thing would happen for the second line-up but with them starting in Osaka for the first day and then move to Chiba for the second day of the festival. For the very first Summer Sonic festival in 2000, international artists like Coldplay, 311, Green Day, James Brown, Tahiti 90, and Weezer participated in the festival. For those who do not know, Coldplay is a British rock band that creates quite a mellow and relaxing sound while Green Day is an American punk rock band that creates quite the opposite. James Brown is known for his souls and blues music while Tahiti 80 and Weezer are known for their beachy music. There were many more artists that played but this particular set of artists should be enough to show you just how diverse the music was in the very first festival and it was a success. In the years that followed, the festival only got bigger. From having 33 artists play in the first Summer Sonic, by the year 2005, the festival made it possible for people to enjoy a total of 97 different artists from all over the globe. To mention some of the big names that played in that particular Summer Sonic event, there were the likes of The Black Crows, Yellowcard, Oasis, Duran Duran, Slipknot, Nine Inch Nails, and Bloc Party. 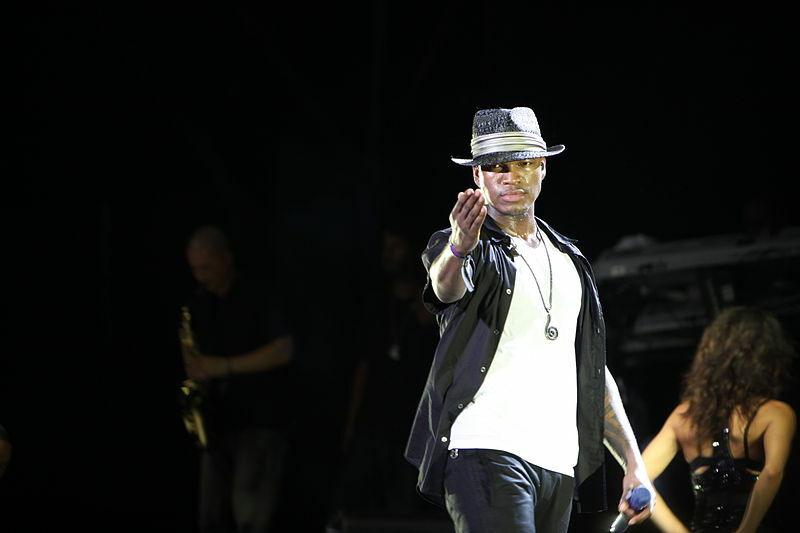 Each of these artists and bands, once again, had a different vibe and sound to offer the people. The number of participants at the event would fluctuate after 2005 but this was not, in any way, a sign that the festival was losing its touch in catching people’s attention. Certain economic events, as well as other external factors, were the reason for the slight decrease in available artists but it never got close to the point wherein they had to cancel the entire festival. In fact, because of the rising popularity of the EDM genre, in the year of 2011, the festival established its Sonicmania event which was described as a “warm-up” to the actually Summer Sonic festival. The Sonicmania is held the day before the Summer Sonic festival and this all-night event lets the people dance to their favorite trance or house music. This is not to say that 2011 was the first time the EDM genre made an appearance in the Summer Sonic festival because DJs like Calvin Harris and Steve Aoki have played in the years prior to 2011. EDM, or Electronic Dance Music, was becoming the next big thing in the music industry during those times and the organizers wanted to provide their customers with a Summer Sonic type of rave hence the conceptualization of the Sonicmania event. Unfortunately, the Sonicmania event isn’t like the line-ups that swap venues in each of the festival’s days. This EDM event is exclusive to the venue of Tokyo so if this is something you want to catch, make sure to remember this detail. It was stated earlier that the Summer Sonic festival is held in two venues which are in Tokyo and Osaka. In addition to this fact, you should also know that the festival in Tokyo is split further because there are two establishments in the area that are used for the Summer Sonic festival. These establishments in Tokyo are the Zozo Marine Stadium and the Makuhari Messe. For Osaka, the establishment used for the event is none other than the Maishima Sonic Park. These venues are huge and it was intended that way because these establishments are divided into multiple stages so that more than one band can play at the same time. This makes sense because if they were to wait for each band to play before moving unto the next, all the artists would not be able to play within the 2 days allotted for the event. It was in the year of 2013 that more stages were introduced to accommodate even more performers playing at one time and luckily, the organizers decided to use the same names for both Tokyo and Osaka Summer Sonic Festivals. These stages are namely the Marine Stage, Ocean Stage, Mountain Stage, Sonic Stage, Rainbow Stage, and the Beach Stage. 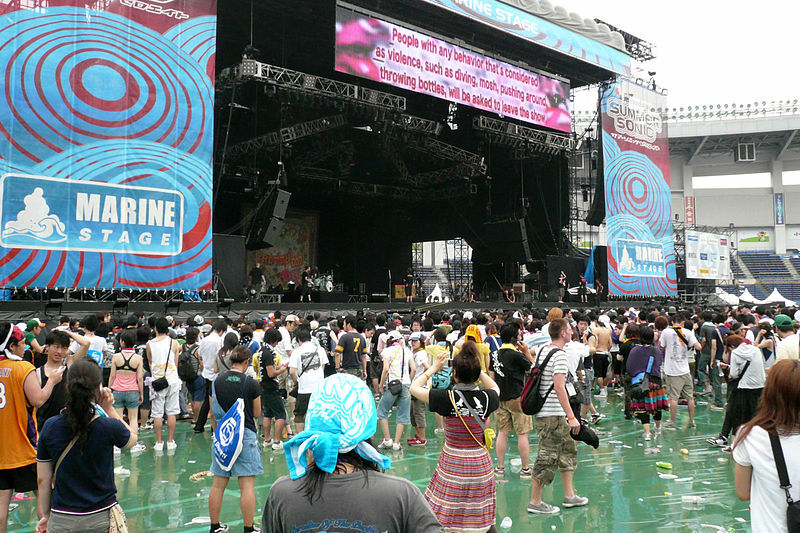 Despite the number of stages that are in this music festival, it is without a doubt that the Marine Stage is the main one for the Summer Sonic festivals in both Tokyo and Osaka because it is on the Marine Stage that the headliners for each festival had played on. In the case of Summer Sonic 2013, the headliners were Metallica, Linkin Park, Fall Out Boy, Bullet for My Valentine, One Ok Rock, Volbeat, Maximum the Hormone, Muse, Mr. Children, The Smashing Pumpkins, John Legend, Imagine Dragons, Man with a Mission, and Zebrahead. It was great to be able to pick which artists you want to go to because of all the stages available for you to choose from but in the following year, they only made use of 3 stages which were named the Marine Stage, the Mountain Stage, and the Sonic Stage. This was done because some organizers thought that having too many stages made it unenjoyable for some people because there were too many things going on and this made it difficult for them to fully appreciate and bask in the beauty of the music they were listening to. This format for the Summer Sonic festival would stick until the year 2017. There have been 17 Summer Sonic festivals so far and all of them have certainly been amazing but the Summer Sonic festivals of 2017 stood out a bit more than the rest because it was the first time that the event was hosted somewhere outside the two usual venues which are in Tokyo and Osaka, respectively. The third venue for the event was in Shanghai and the 2-day music festival there happened on the 26th and 27th day of August. The Shanghai festival made use of the same name for the main stage and it was their Marine Stage that artists and bands like the Travis and The Kooks played their hearts out to the adoring crowd of fans. Unlike the festivals in Tokyo and Osaka, the Shanghai festival referred to the two other stages in the festival as the Bravo Stage and the Garden Stage where the likes of Sum 41 and David Gravell also performed. The Summer Sonic festival for 2018 is coming up and they have already released details of the event that is scheduled to happen on August 18 and 19. This time around, it will be like all the other times because the event is to be held only in Tokyo and Osaka once again. Do not be saddened by this news because, despite the fact that the Summer Sonic festival will stay in Japan this year, there is still something special in store for the goers of this year’s festivities. It was mentioned earlier that since the year of 2013, the Summer Sonic had stuck to using only 3 stages which were named the Marine Stage, Mountain Stage, and the Sonic Stage. Due to the increase in the number of artists and bands that will be exclusively playing in either Chiba or Osaka, this year’s music festival will make use of more stages than usual. Chiba and Osaka both have their fair share of bands that will only play in one of these venues and these artists are the ones assigned to make use of the additional stages. For Summer Sonic Tokyo, the additional stages will be the Rainbow Stage and the Beach Stage. To mention some of the bands that will grace these stages exclusively for Chiba, there are the likes of Ling Tosite Sigure, 9mm Parabellum Bullet, Kamasi Washington, and MOROHA. On the other hand, there will only be one additional stage for the Summer Sonic Osaka and it will be the White Massive Stage. The Summer Sonic Osaka may be down 1 stage compared to the event in Tokyo but the exclusive line-up for Osaka may still make it worth your while despite the lack of 1 stage. To show you just how great of a line-up there is for the White Massive Stage, you’ll be glad to know that artists like Clean Bandit, Sambomaster, and Jess Glynne have confirmed their spot for Summer Sonic Osaka 2018. You can already search for the complete line-ups of this event online so that you’ll have enough time to plan for your trip and look out for which bands you definitely want to catch. Some of the headliners for this year are the hottest names in the music industry nowadays like Chance the Rapper and Shawn Mendes so it is sure to be a memorable one. It would be useful to know that you have options for the tickets you can avail of for this event. Since it is a 2-day event, there will obviously be a one-day pass and a two-day pass. The one-day pass would cost you around 16,000 yen while the 2-day pass would cost you around 29,000 yen. This is exclusive of the Sonicmania that happens before the Summer Sonic Tokyo and a ticket to this portion will cost you around 12,000 yen. There is no shame in going for just a day but if you’re a person that has spare money to spend, it might also be beneficial for you to opt to buy the platinum ticket. The platinum ticket is sold separately for the two days and each ticket would cost you around 30,000 yen. If you plan to get platinum tickets for the whole 2 days, you’ll have to get 2 platinum tickets which would amount to a total of 60,000 yen. This might sound like an absurd amount to spend for a music festival but the perks that come along with it might show you why some people buy it anyway. With the platinum ticket, you get exclusive viewing areas in practically all the stages in Summer Sonic. You also get access to the Platinum Lounge which is a no-smoking area with seats, especially for platinum ticket holders. You will also get an exclusive cloakroom so that you can cut the long lines to check in your stuff as well as check it out. You also get to cut the lines for the shops that sell merchandise and if that wasn’t enough, you will also be able to use an exclusive shuttle bus that takes you from the stadium of Summer Sonic Tokyo to the Makuhari Messe. Although it is a walkable distance, if you have been dancing and rocking to your favorite bands for quite a while, you also wouldn’t mind the option of traveling on a comfy air-conditioned bus. Considering all the things that you can enjoy in this event whether or not you decide to get the platinum tickets, it would be a waste to go if you can and if you are honestly interested in such an event. It would only take a day or two so even if you’re on a tour in Japan, it wouldn’t be hard to make time to at least see the artists and bands that caught your eye when you checked out the line-up for this year. This event has become an iconic one for music as well as the Japanese culture and it is sure to grow even more throughout the years. With this said, don’t waste a chance to be a part of the history that this festival is making and book for tickets to Japan and for this event as soon as possible.